The Marlborough Flyer is a heritage steam train from a majestic bygone era. 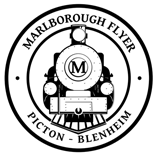 Join the Marlborough Flyer to experience a heritage steam journey between Picton and Blenheim. Travelling on the historic World War I Memorial Locomotive, Passchendaele (1915), your journey through Marlborough takes you to Blenheim, where you can explore and be spoilt for choice sampling the regions’ world-famous wines and cuisine. This gorgeous website is another New Zealand tourism website from the SunRoom team. The new responsive website showcases a variety of train trips available from Blenheim / Picton. This website is uncluttered and is designed for conversion – let’s get those bookings! SunRoom integrated the Checkfront online booking system so customers can book directly on the Marlborough Flyer website. The site also features social media integration with a Instagram gallery on the homepage, #MarlboroughFlyer. SunRoom were a dynamic and highly creative team and a pleasure to work with. They developed a website that we absolutely love and we can’t wait to begin our next project with them!